MANFORD'S COMEDY CLUB - SATURDAY 22ND DECEMBER 2018!!! 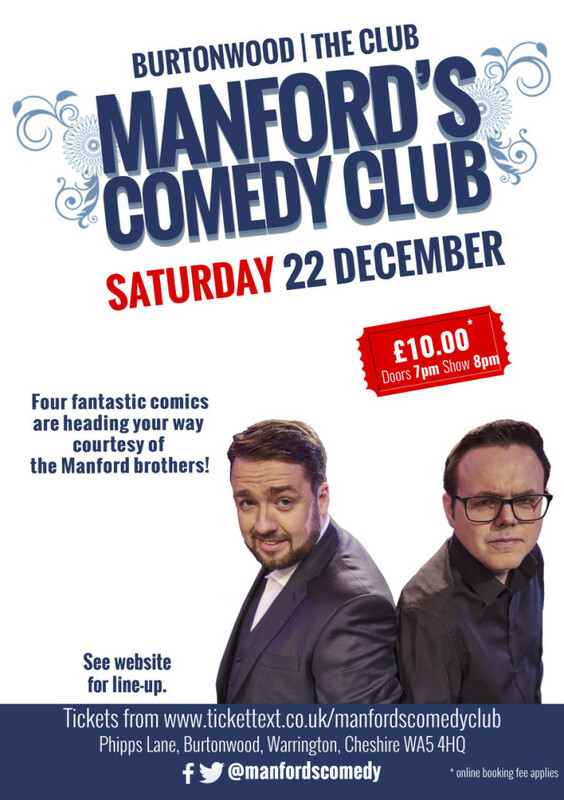 We're absolutely delighted to announce The Club Burtonwood is teaming up with Manford's Comedy Club to provide brilliant nights of live comedy, starting on Saturday 22nd December 2018. With 4 brilliant comedians on one night including Brennan Reece, Christian Reilly & Will Duggan, join us for plenty of laughs and good times as this is a night which you can not miss!